Heyl & Patterson Inc., manufacturer of bulk materials handling and thermal processing systems, has announced the promotion of Len Walnoha to Vice President. 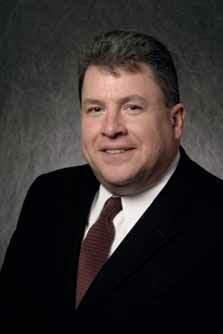 Walnoha joined Heyl & Patterson in 2013 as Director of Engineering. He oversees equipment design and drafting of all Heyl & Patterson manufactured products, the technical development of new products, and the direction of field service personnel in the support, installation, inspection and commissioning of equipment. As Vice President, he takes on the added responsibilities of project management and procurement. Prior to joining Heyl & Patterson,Walnoha had been with SiemensVAI Metals Technologies in Canonsburg, as Engineering Manager and later as Director of Rolling & Processing Equipment. He is a member of the American Society of Mechanical Engineers (ASME) and the Association of Iron & Steel Technology (AIST). Walnoha earned his Bachelor of Science degree in Mechanical Engineering from Gannon University. Founded in 1887 in Pittsburgh, PA, Heyl & Patterson Inc. provides high quality, custom engineered solutions for thermal processing and bulk material handling applications around the globe. Thermal processing products and services include some of the largest high-efficiency dryers and coolers in the world, as well as calciners, bulk material processors and pilot plant laboratory testing systems. Heyl & Patterson is the innovator the rotary railcar dumper and offers a wide range of bulk material handling equipment, including railcar and barge movers and barge unloaders.